A lavish 1 carat pink topaz center gemstone is all the attention in this sterling silver paisley ring from Apples of Gold Jewelry. The center pink topaz gemstone measures 6mm and is AA rated for quality. The paisley design band measures 2mm wide and the setting height of the ring is 8mm tall. This ring is also available in 14k white gold or as a bridal set, shown below. 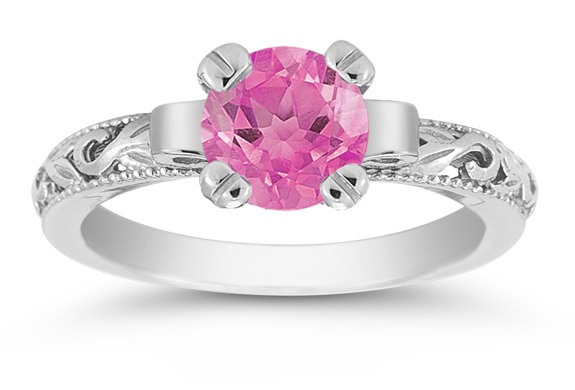 We guarantee our Sterling Silver Pink Topaz Paisley Ring to be high quality, authentic jewelry, as described above.